As I wrap my attention around the breath moving in and moving out, I’m here right now. So simple to feel my abdomen rise on the inhalation and descend on the exhalation. So fresh to sense the coolness of in-breath and warmth of the out-breath. So comforting to experience “here” when I breathe in and “now” as I breathe out. So simple, so fresh, and so comforting to be here right now. The practice of presence is the healing balm to our increasingly frenzied world, a world whereby we are catapulted on a daily basis into present war zones and crises as well as potential war, and possible crises. This causes our mind-bodies to be rattled with fear and dread about situations beyond our control. We are left every day with a feeling of powerlessness; an undercurrent of despair; and quite often, a sense of being overwhelmed. How do we navigate this anxious world with the highest regard for our loving, caring selves? As if by divine design, every one of us inhabits a place throughout our lifetimes that is in the here and now: the body. Whether we pay attention or not, the body is being, moving, beating in the present even if your mind is fixated with the past or future. Your body responds to your current past/future thoughts with moment-by-moment signals—i.e. quickened heartbeat, churning stomach, dry mouth—as our patterns of thinking are not only mind events but also bodily events. Patterns of the mind are also patterns of the body as mind-body is a constant feedback loop. The churning in my stomach elicits the thought, “I feel sad.” A thought of, “Why did she say that?” provokes a tightening in my chest. Body and mind cannot be separated; however, the body is always present and it is here the mind can be anchored. Paying attention to what is occurring in the present moment can be scary. Indeed, many of us live in fear of what is stirring under the skin. We reach for distraction through horror films, Facebook, news sites and so on, rather than inhabiting the unpredictable domain of the body. Yet true healing can only occur through an honest, compassionate relationship with our corporeal realm. When I arrive in the body through embodied practice, expectation, anticipation, fear, and worry begin to drift away like a passing storm’s clouds and I am experiencing what is actually true in the moment. Embodied practice is anything that allows me to inhabit my body more fully and directly, without using the mind as an intermediary. When we practice in an embodied manner, we are saying and experiencing “This is who I am now.” There’s no judgment or coercion. Instead, there’s compassion and curiosity, imbued with a “not knowing” mind. I am befriending my compassionate, curious and present witness. The meeting of the inner witness is the moment I am present with what is around me and within me. It is the moment I inhabit my agency and responsibility to myself. When I sense more clearly who I am, I'm experiencing more clearly who I am not. I have clearer boundaries. I reflect each of the 37 trillion cells with their cellular walls acting as boundaries between what is and isn’t the cell. Now science is proving (1) that our moment-to-moment awareness of our senses correlates to better mental health and resilience, as we are better able to hold an uncomfortable sensation. Through the practice of non-judgmental presence in movement modalities, our self-narratives begin to diminish as we witness how the habitual story does not match the fresh present moment. As I sit in a kneeling position, sensing I can remain like this forever, the splendor of stillness is who I am. I see now that the story of “stressed-out me” does not fit this moment. The power of the narrative has dissipated and I am stillness. I witness in this moment that the story of the previous months has come to an end. I am, in this moment, stillness. Through this felt, embodied awareness, we find our original home. This is a place where we choose to open the door to welcome guests and close the door to unwelcome visitors. Yet we greet all, knowing we are home. Breathing in, here. Breathing out, now. 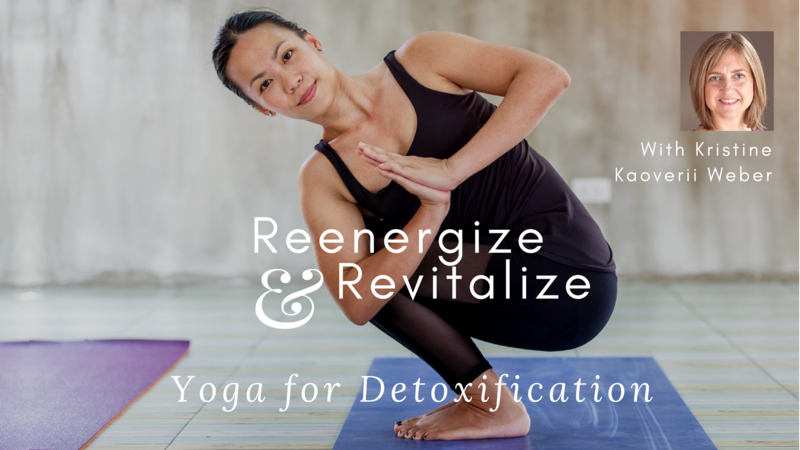 Study with Kristine Kaoverii Weber and YogaUOnline - Reenergize and Revitalize: Yoga for Detoxification. 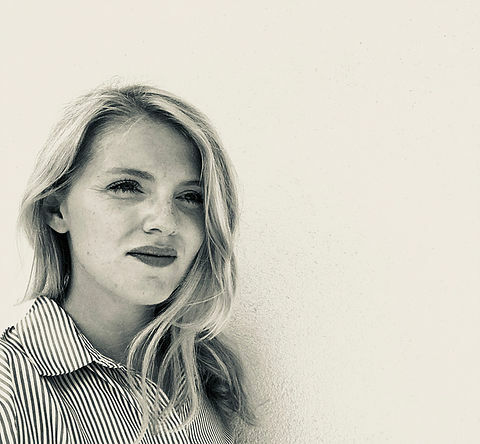 Charlene McAuley - My yoga exploration spans 13 years, teaching for almost seven of those years with varied students including World Cup footballers and wise 80-year olds. I have an insatiable fascination with movement and psyche, recognizing many years ago through my yoga practice that movement can determine one’s mindset and mindset can determine one’s movement. I work primarily with the ‘here and now’, wanting to explore in what is occurring in the present moment so that I can encourage myself and students to live with more awareness.